While Sal decides to not get out of bed for the show, the guys bring Kyle into the studio to discuss various Comic Con news and a major crazy week in WWE. 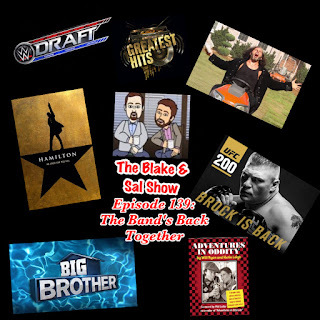 Listen as Sal melts over Britney, Kyle has an amazing rant about Batman v Superman, Blake melts down about Eva Marie and then gets giddy over Bayley and a nice discussion about game shows. "Light that candle!" 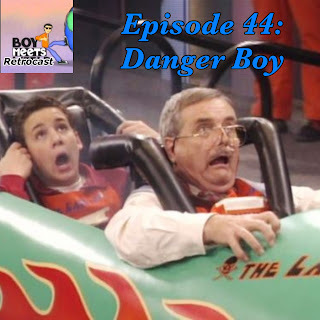 The guys are back as Cory and Mr. Feeny go out to prove that they aren't safe and are full of danger in this season two classic, Danger Boy. 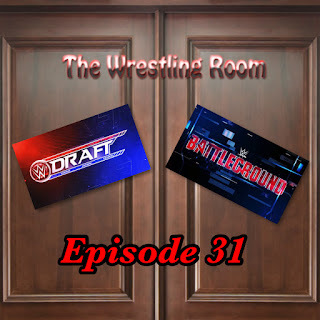 Blake and Mark sit down in studio to analyze, rant and discuss the WWE Draft and then preview WWE Battleground with help from Sal and Kim calling in. Blake sits down with show wrestling historian Mark to discuss the George Tragos/Lou Threz Hall of Fame Class of 2016 in full detail. 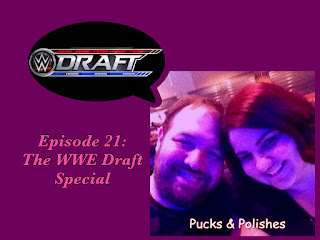 Your favorite married couple get back behind the mics and have a fun time draft their WWE rosters right before WWE does it themselves on Tuesday night. It's a fun back and forth discussion that really shows what happens when two competitive people do something like this. The guys are back together and have alot to talk about and catch up on. The conversation ranges from game shows to Big Brother to Hamilton to UFC 200 to the NHL. They also breakdown The Final Deletion, Brock Lesnar vs Randy Orton, Pokemon Go and discuss their favorite non Disney Cartoon Movies. Plus there's an interview with Katie Leigh. It's a marathon show but a fun one. The guys head down to Miami for the third overtime period of game four of the Colorado Avalanche and the Florida Panthers. Yes, THIRD overtime. A crazy end to another sweep in this era of the NHL. Blake brings on independent wrestling star Deoanna Purrazzo to talk about her rise to wrestling in the biggest wrestling promotions in the world at such a young age. Sitting poolside, Deoanna talks about her life and how she has grown so fast in the past few years. It's fun listen!